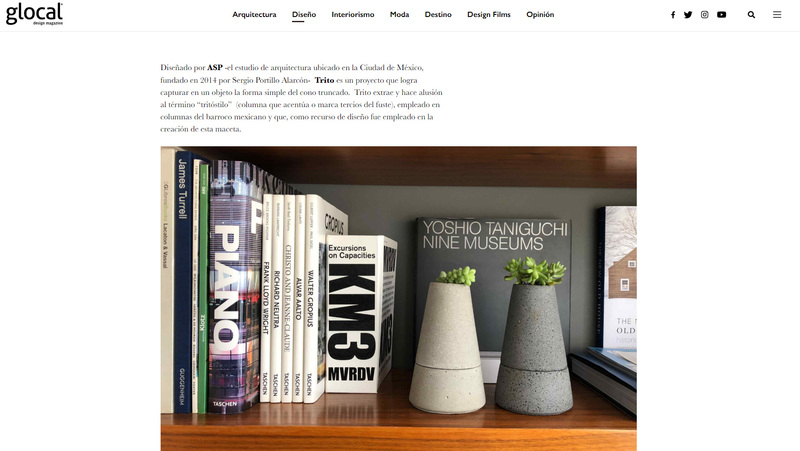 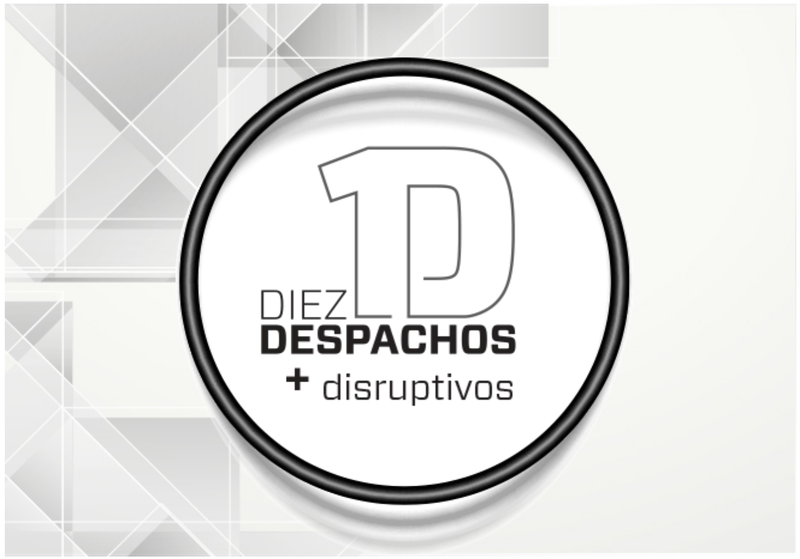 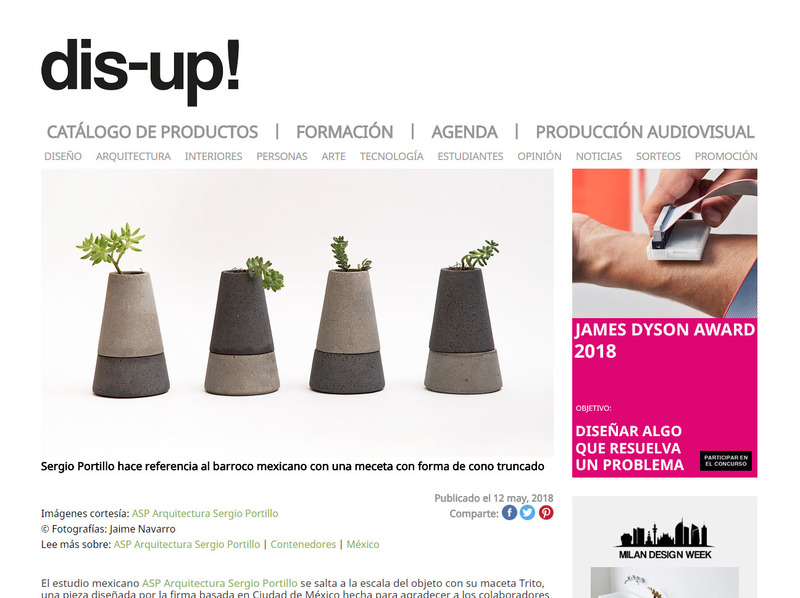 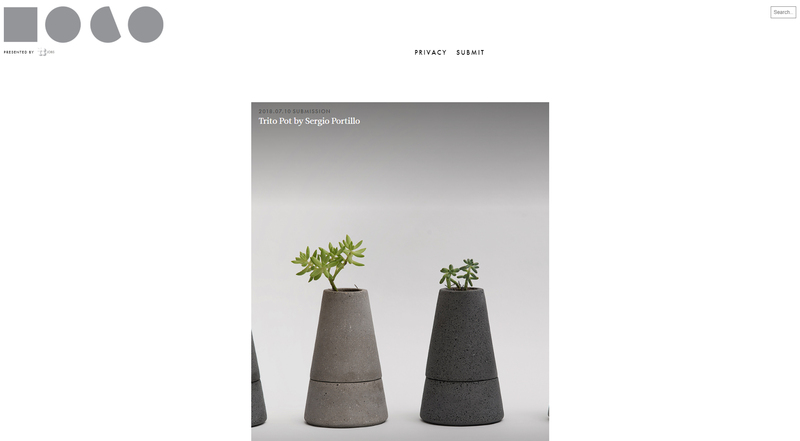 ASP in the yearbook of México Design Elementales. 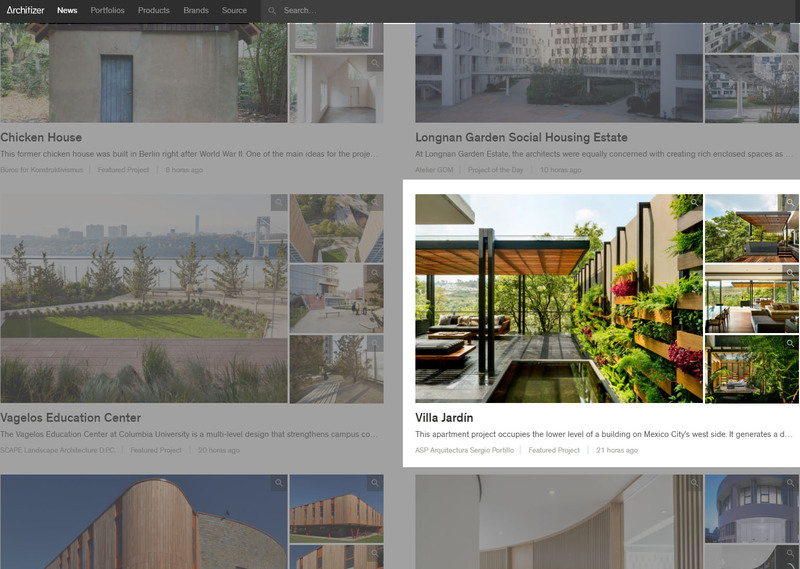 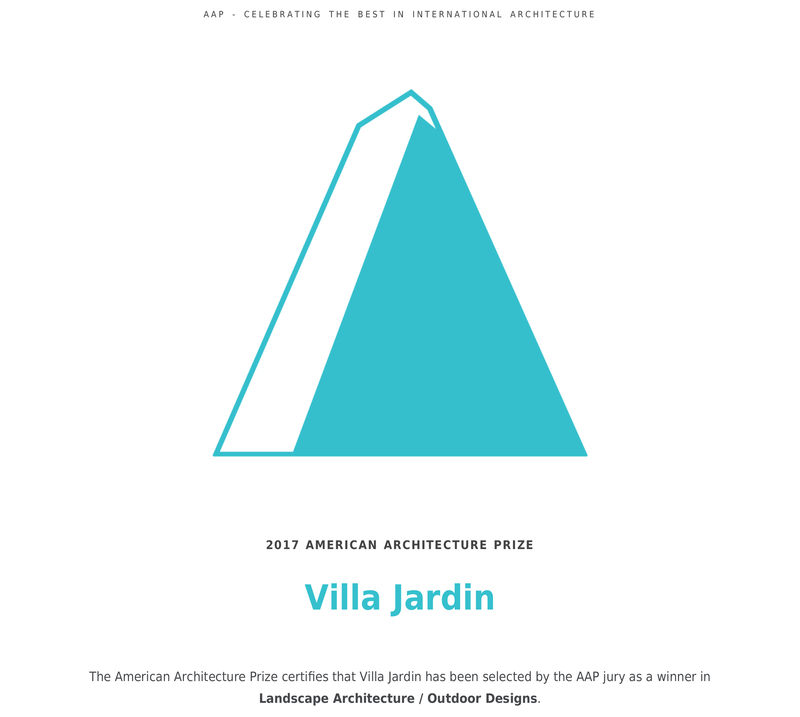 On October 27 Sergio Portillo received this year´s "The American Architecture Prize" for the Villa Jardín project that won in the Landscape Architecture / Outdoor Design category. 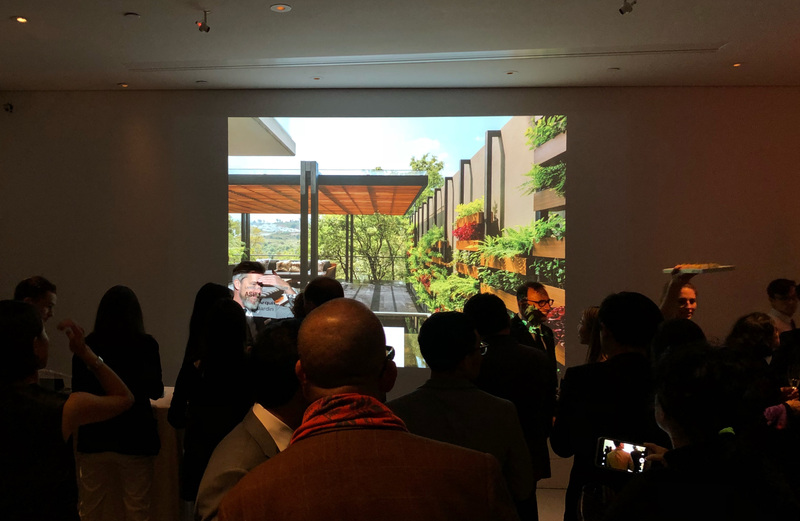 The winners cocktail took place at the New Museum in New York City. 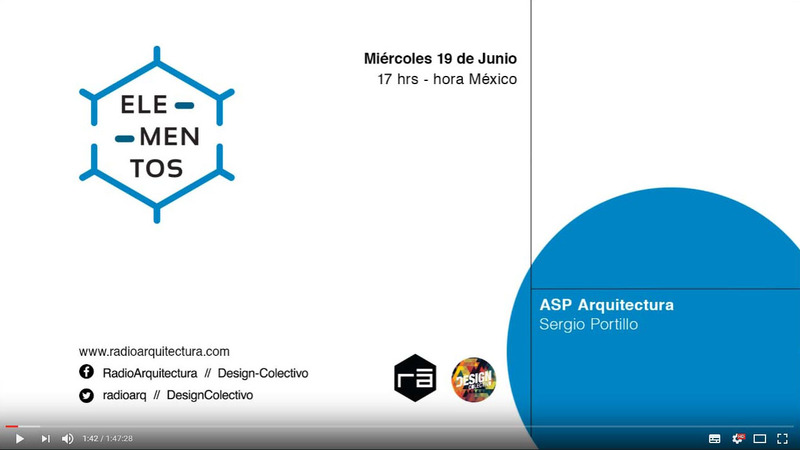 Transmission of the program Elements Collective Design of Radio Architecture where Sergio Portillo talks about his career, the foundation of ASP and what is being done. 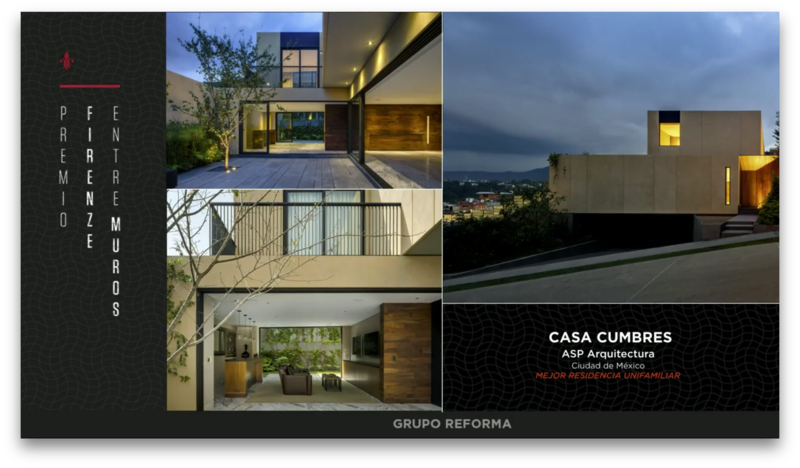 "Each space is related to the contiguous, but at the same time it acquires a certain independence to be able to flow out"
On Thursday, June 15, we attended the cocktail party organized by Grupo Reforma, where the finalists of the first edition of the Firenze Entremuros prize were announced. 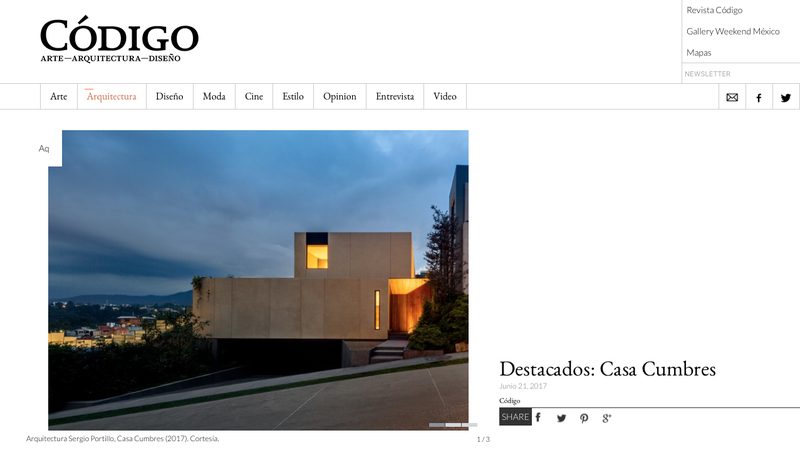 Our project "Casa Cumbres" is one of the ten finalists in the category "Best Family Residence"
Publication of the project Villa Jardín in the magazine "Muros" in the edition of April-May 2017. 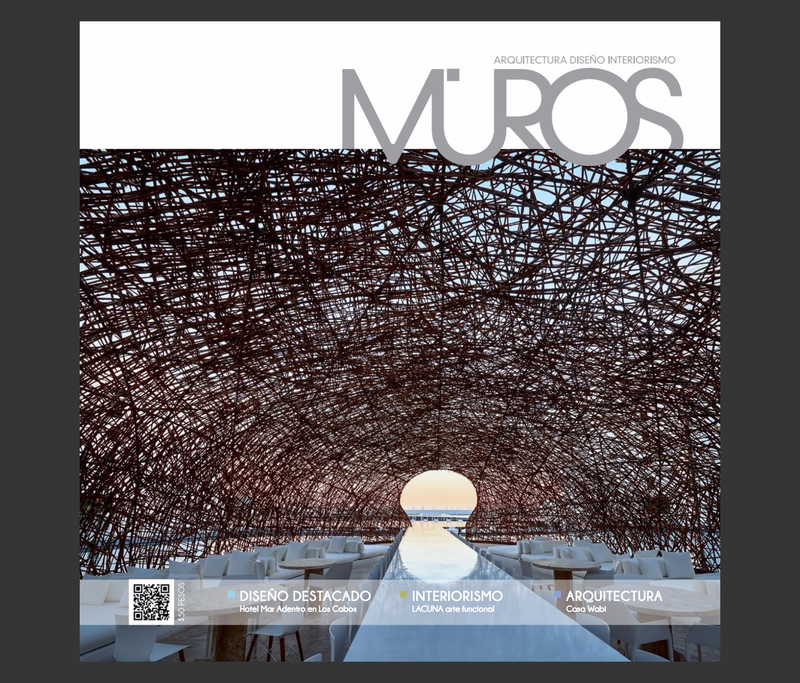 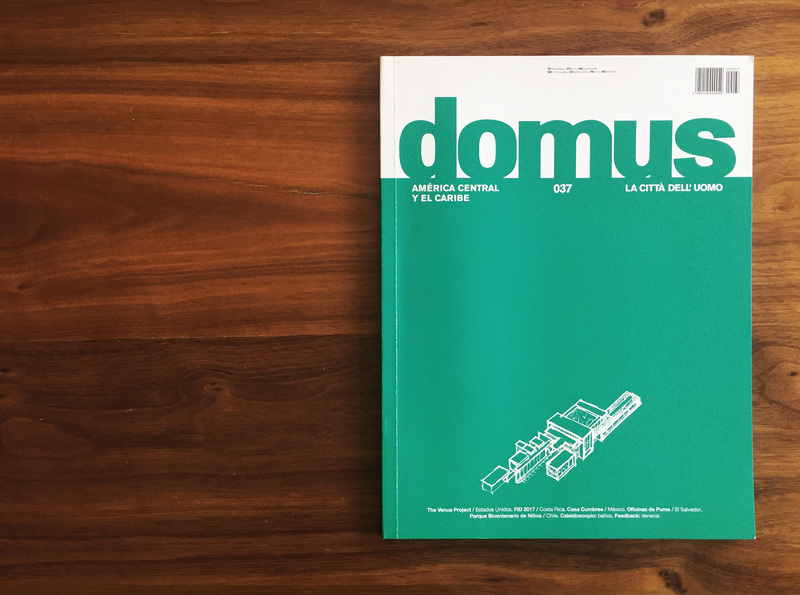 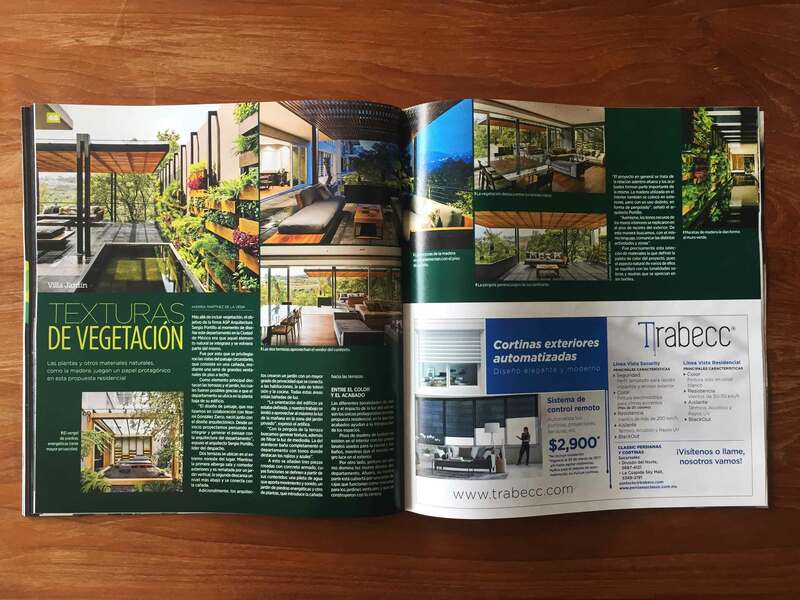 Publication of the project Villa Jardín in the magazine "Entremuros" in its edition of the month of March. 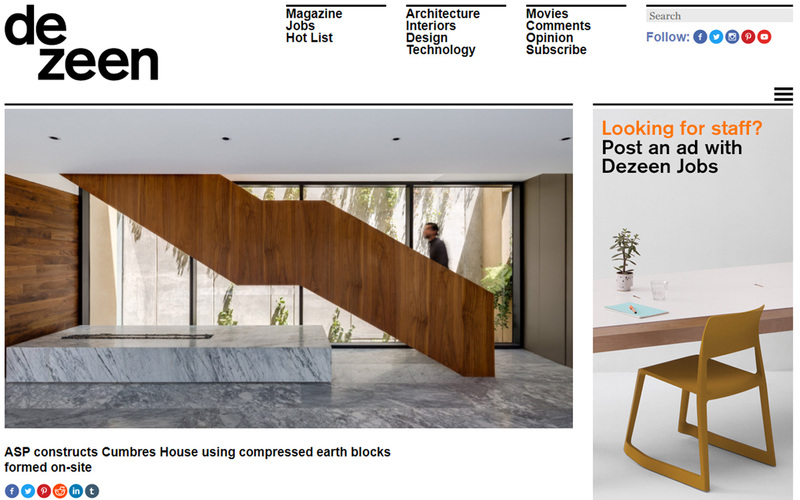 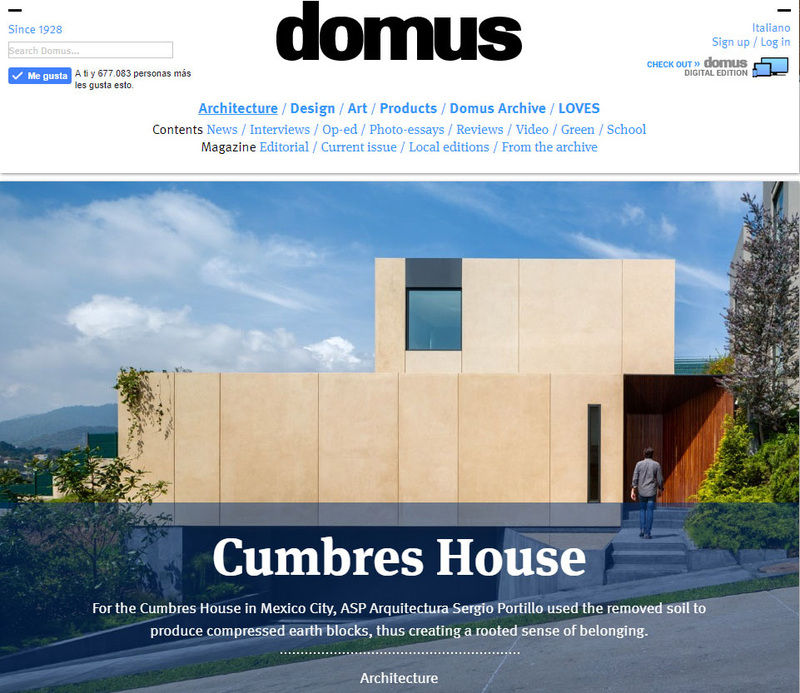 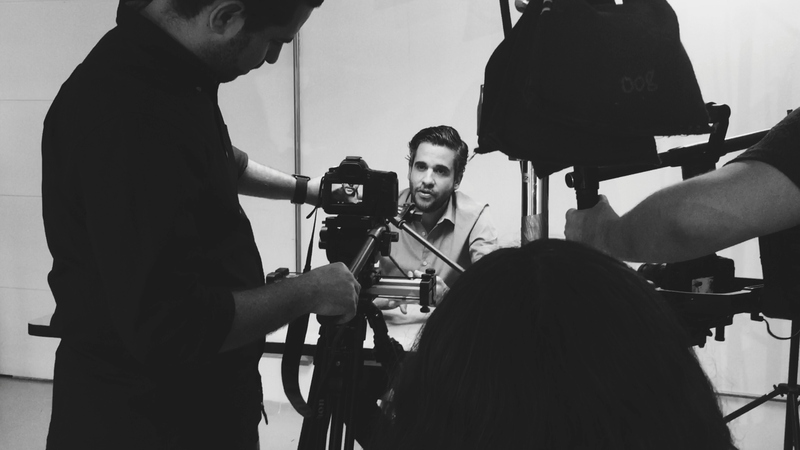 The Architect Sergio Portillo speaking about the finalist proyect "Cumbres House" for the magazine Obras. 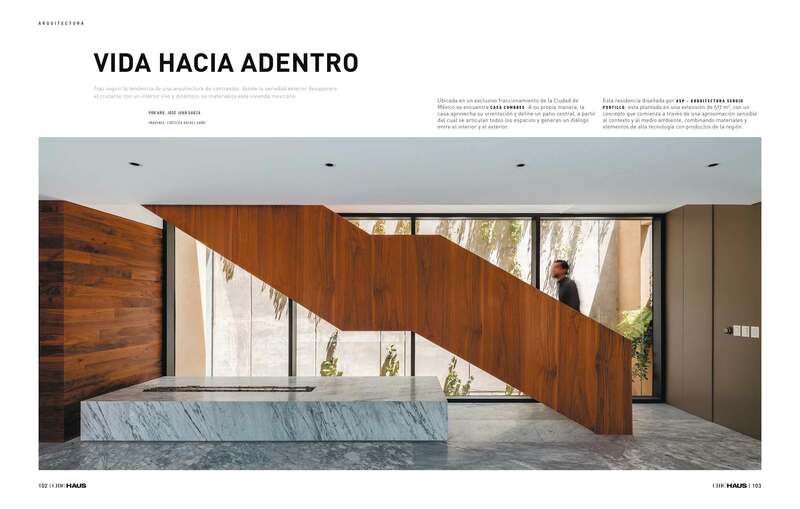 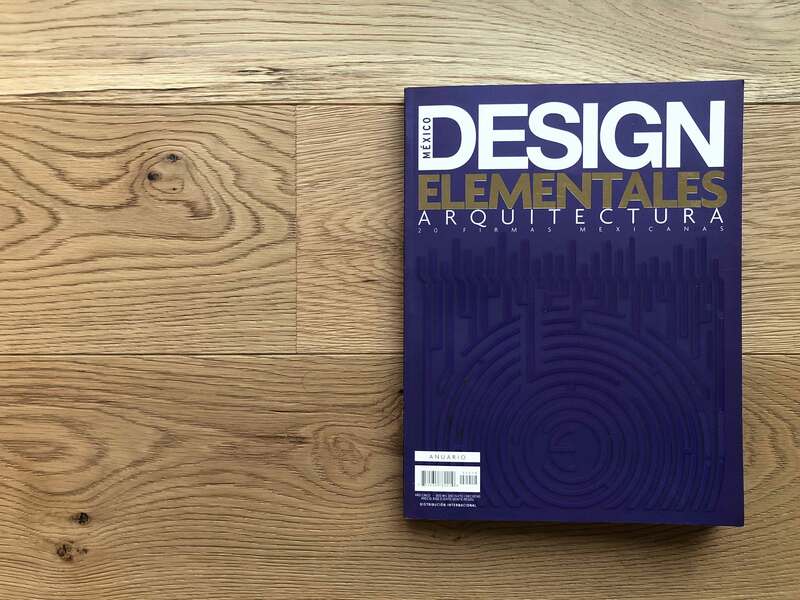 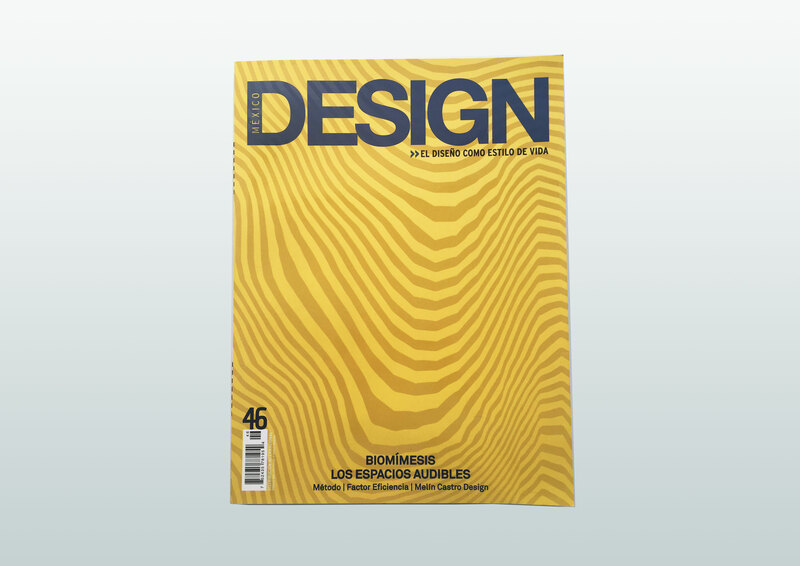 ASP Architecture Sergio Portillo is one of the finalist signatures of mexican architecture for the magazine Obras in its edition 10 Despachos 2017.